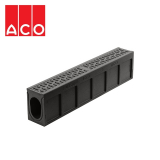 The D400 classification is used to classify channel drainage that has been manufactured to withstand a maximum weight load of 40 tonnes. 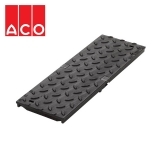 This means that it can be used on main roads, highways and other high traffic areas such as public car parks. 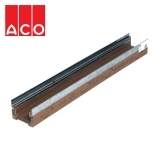 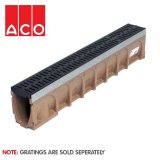 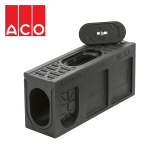 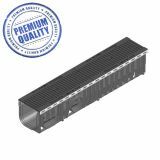 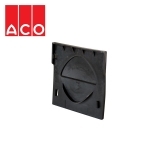 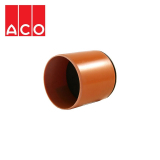 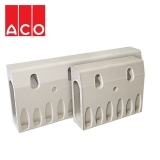 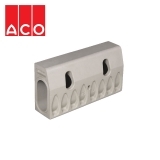 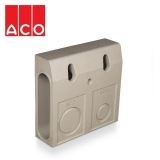 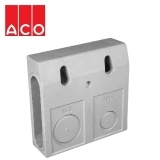 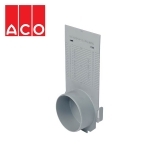 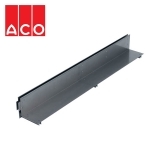 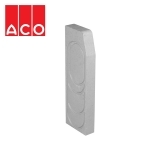 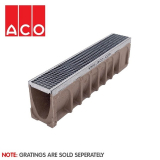 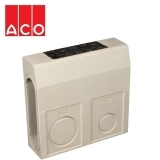 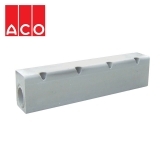 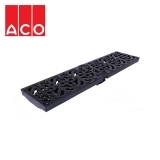 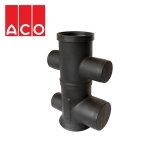 Here at Drainage Superstore we have a selection of main road and traffic area channel drainage to choose from, from well known and reliable brands such as ACO, MEA, Hauraton and more. 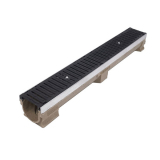 High traffic area channels must be strong and able to withstand heavy weights. 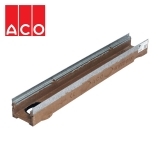 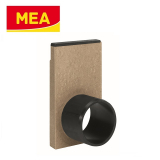 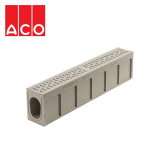 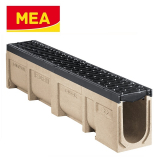 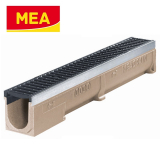 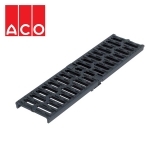 MEA’s D400 drainage channels are designed with cast iron frames in a polymer concrete, to add extra strength to withstand heavy loads. 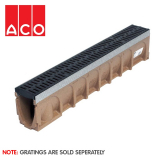  Alternatively, Gatic Slotdrains are manufactured from pre-galvanised sheet steel, which is impact resistant and will not break during installation, storage or operation. 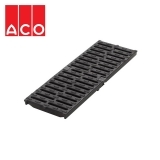 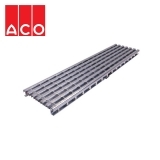 Each of these would be suitable for high traffic areas and for road drainage. 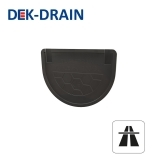 Channel drainage needs to be durable and long lasting to avoid repairs and replacements, which can be costly, especially in high traffic areas. 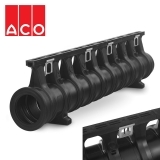 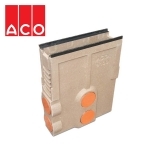 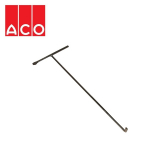 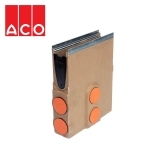 ACO achieves this through Vienite, their high strength sustainable material that is robust, and resistance to chemical and freeze attack. 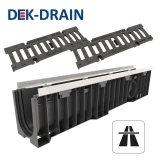 Alternatively, Dek-Drain’s heavy duty channel drainage has a mesh geometry in the structured wall, which allows a natural anchor to form in the concrete surround which increases its lifespan. 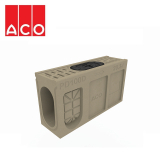 As well as strength and durability, it is important that D400 channel drains function effectively, allowing good flow rates and low blockage frequencies. 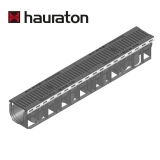 Hauraton’s Faserfix channel drainage has been manufactured with a high drainage cross section, allowing a much higher flow rate compared to other competitors. 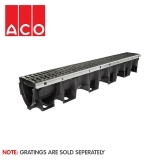 Alternatively, Gatic’s Slotdrain has a unique profile which allows it to handle both large and small quantities of water with a similar high efficiency, and uses endplates for flow regulation where required. 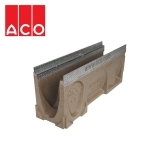 We are confident that we have the best main highway channels for your project, combining quality, durability and affordability. 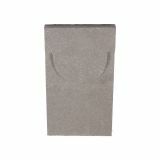 If you need any advice or recommendations give our friendly team a call on 01752 692221. 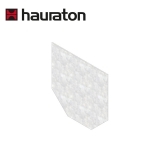 They’ll gladly help you find the best solutions for the task at hand.